One of the most important aspects of the review process is maintaining consistency in application of criteria across all reviews in a department. The reason for this importance is that failing to equally apply the same standards to everyone could result in claims that some employees are being treated differently or unfairly. In turn, this could open the door to lawsuits based on civil rights violation claims. 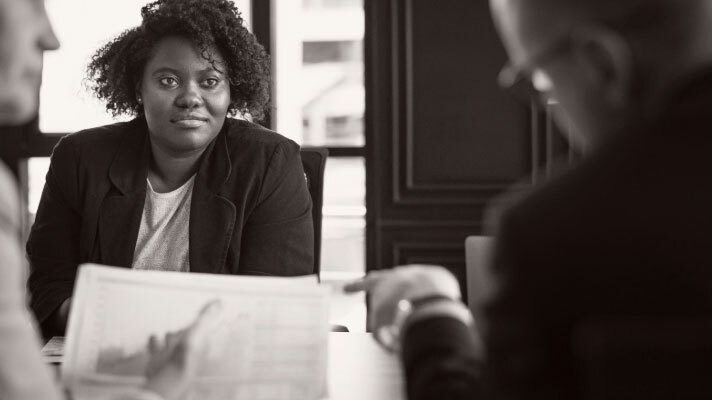 A common problem faced by human resources professionals in the flow plan of evaluating performance is the failure to address concerns as they come up. If an employee is not told of performance issues, he or she has no way to correct them. Dumping all of the mounting concerns on an employee at once during a review session can lead to the employee feeling helpless in the process. Instead, engage employees regarding concerns as thy present themselves so that they have a chance to correct mistakes and behaviors in between reviews. Hard data about an employee’s performance can tell you a lot, but it can’t give you the whole picture of an employee’s day-to-day life in the workplace. As a result, it’s important to involve direct supervisors in the review process to get a better understanding of each employee’s contributions to the company. While you can do this by discussing matters with supervisors prior to a review, it’s often a good idea to also have supervisors in the room during the actual review so that all concerns and accomplishments can be accurately discussed, and thereby, measured fairly. Providing feedback to an employee is great, but it can only do so much good if follow-up actions are not part of a corrective plan. All too often, the review process is thought of as a once-per-year action, and unfortunately, once the review is done, employees may fall back into poor work habits after a short amount of time. This hurts the company’s bottom line and leaves employees who are performing poorly in positions that cost productivity. Instead, work with supervisors to create a follow-up plan to re-evaluate performance on a regular basis to see where recommendations are being implemented and where adjustments to a performance plan need to be made. While it’s difficult to do, you should consider divorcing performance and salary considerations in the review process. When you approach a review with both performance and salary in mind, an employee may focus too much on doing things simply for a pay increase without taking development recommendations to heart. It’s natural to do this as everyone is interested in making as much money as possible for the work they do, but if you make the review about both development and pay increase, an employee may just jump through the hoops to receive a higher salary. Instead of learning from developmental coaching that benefits the employee, the department and the company as a whole, the employee may then become a liability. If you’re having trouble separating the two, consider having separate reviews for development coaching and for salary increase considerations. Nearly every human resources professionals knows the struggle and pressure of trying to organize the review process and execute it flawlessly, but by following the above tips, you can make the process easier for yourself, your team and the company. Get others involved in the review planning process, make sure you’re clear in your mission and you can easily benefit employees as well as supervisors and owners in a shared effort to make the entire workplace run more efficiently.